Mango Avocado Salsa | eat. write. smile. Summer is the perfect time to take advantage of big, fresh tastes like mango, avocado, cilantro and lime. Make this salsa with grilled fish for a light and flavorful dinner, or serve with a vegetable quesadilla to revitalize your lunch routine. 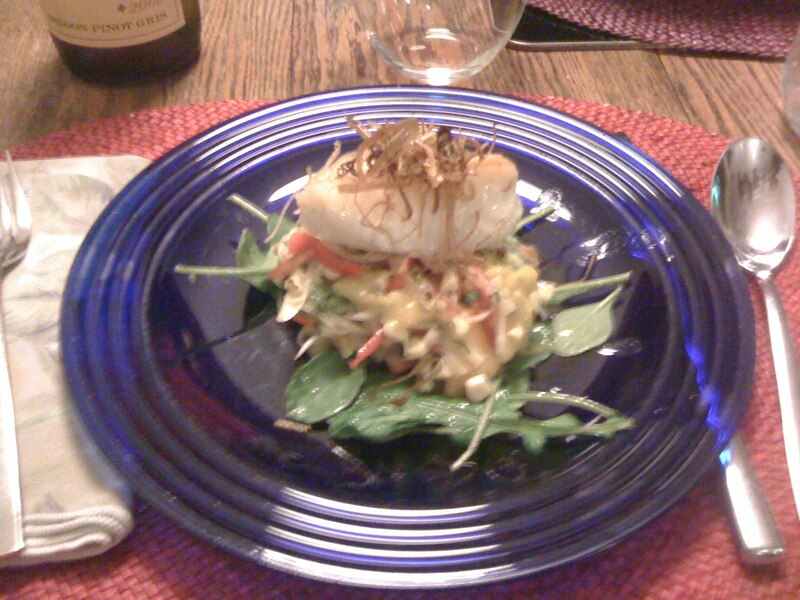 Above: Pan-seared sea bass on a bed of arugula greens and mango avocado salsa, topped with crispy leeks. 1. If you’re using the salsa as a bed for grilled fish, thinly slice all the vegetables and combine. It will resemble a shoe-string salad. If you’re making a salsa for chips or dips, chop everything into rough squares. 2. Toss with the cilantro and lime juice and zest. Season with salt and pepper to taste. 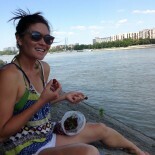 This entry was posted on July 6, 2010 by Ruthie in Uncategorized.